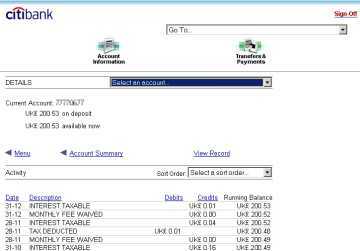 This page contains information on UK bank Citibank. Impressive interest rates on your current account, with no catches and no strings attached. At the time of writing, Citibank is also offering a free iPod Nano with new accounts. Details at www.citibank.co.uk.